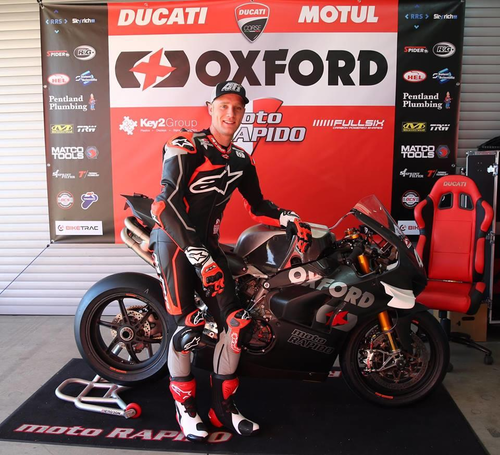 CMD Recruitment are pleased to continue the sponsorship of British Superbike Racer, Tommy Bridewell. Operations Manager and devoted superbike fan, Dan Barfoot said: "We're proud to be sponsoring Tommy for a second season and look forward to supporting his future success. He is looking to enhance his sponsorship portfolio, so he is keen to hear from any local businesses that may be interested in supporting him as he enters the new season after finishing last year on such a fantastic high." This will be CMD’s second season supporting Tommy, who will start his season with round one on the 19th April at Silverstone, on his new 1285cc Ducati Panigale V4R. 2018 saw Tommy return the team's best results in the Superbike class, scoring four podium finishes. He was also awarded the Riders' Cup at the season finale and launched his own website showcasing track-side photos and videos. Fans can also purchase Tommy’s merchandise directly from his website www.tommybridewellracing.com ranging from t-shirts to hoodies to hats.